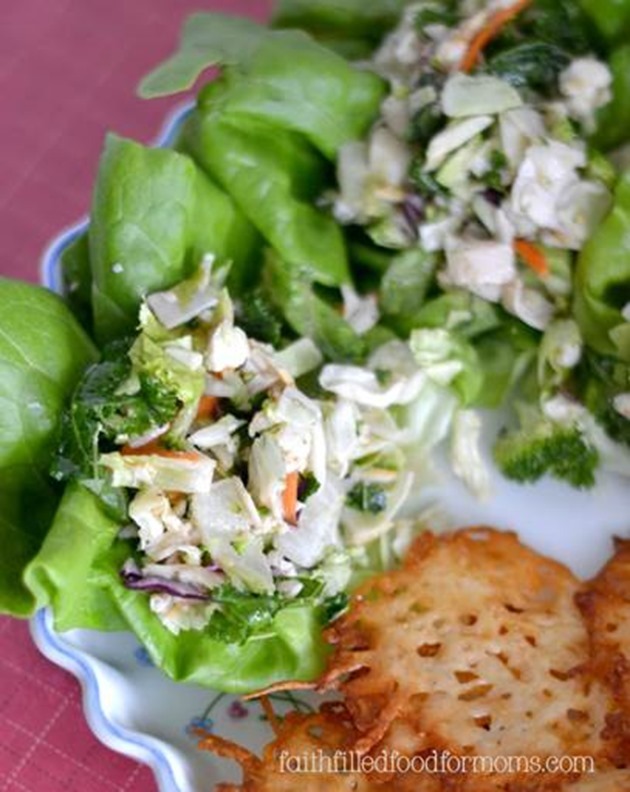 I am super excited to partner with Foster Farms to bring you this very easy, versatile recipe. I have been compensated for my creation, but as always, the recipe is my own. Today is the first day of school for my daughters, which means it’s the first day for me! I work part time for our local school district. So busy times are ahead, because I get tired between sports and all the activities that surround busy teens and work! At the top of my list when it comes to eating is easy and healthy, so I created this Sesame Turkey Crunch Wrap that can literally be made in about 10 min. I’m using Foster Farms All Natural Sliced Turkey because it’s 98% fat free and made naturally with 100% turkey breast meat ~ healthy!! 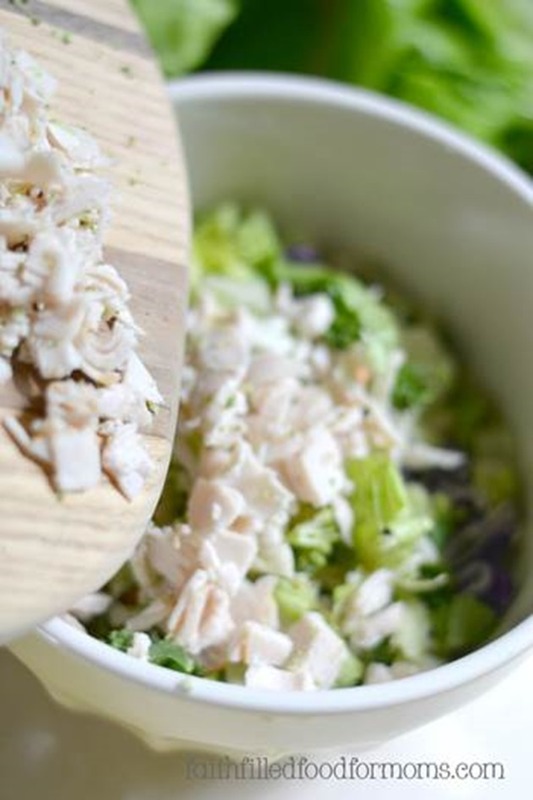 Chop up enough Foster Farms All Natural Sliced Turkey to make about 1 cup and add to your salad. Add salad dressing..the amount that you like. 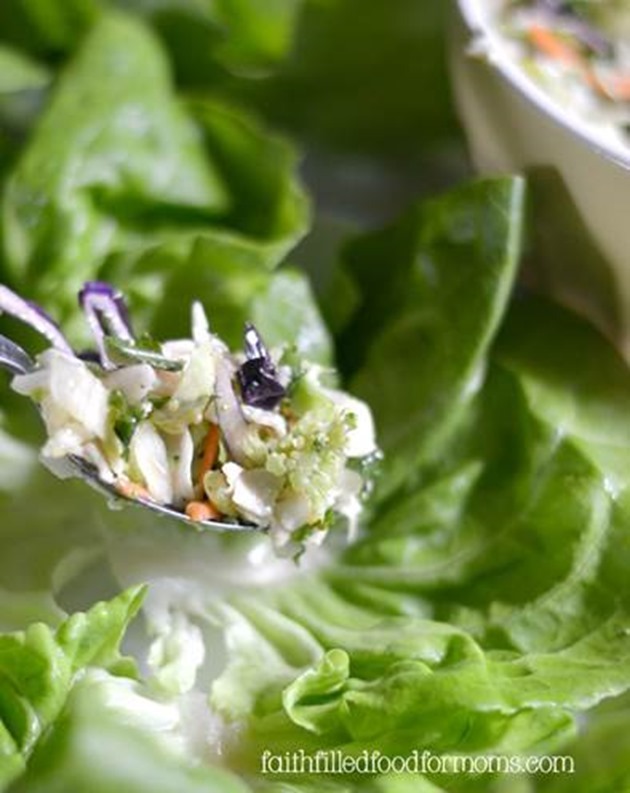 Wash as many Butter Head Lettuce leaves that you need. 1 ~ 2 per person. 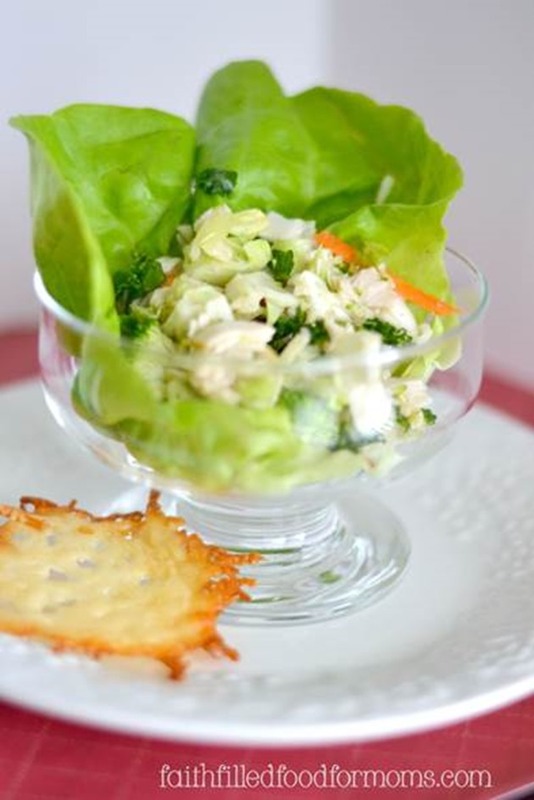 Now scoop salad onto you lettuce leaves. 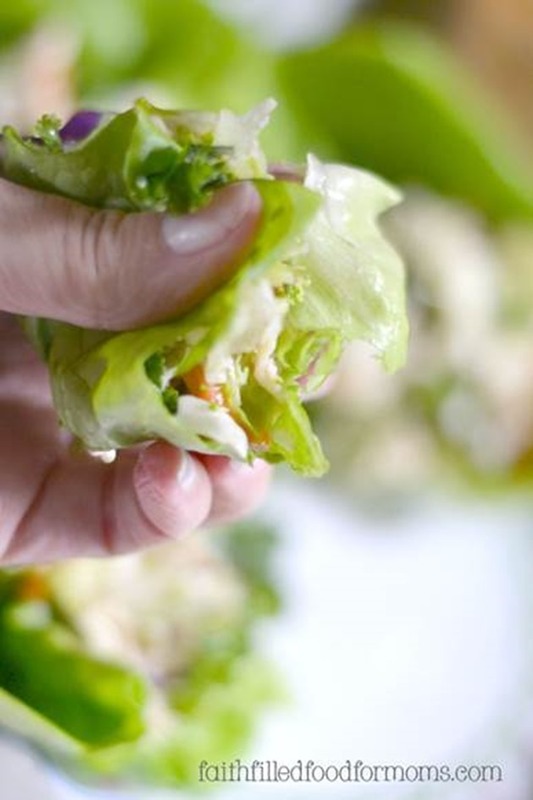 This is such an easy wrap that can be dressed up for others or served up for a super quick healthy snack and eaten with fingers. This Sesame Turkey Crunch Wrap is deelish and filled with healthy protein and yummy veggies! It’s also very low in sodium! You can’t really go wrong with it. As my teens get more active, this will make a great light snack to have right before they go and get into a super hard work out for basketball! 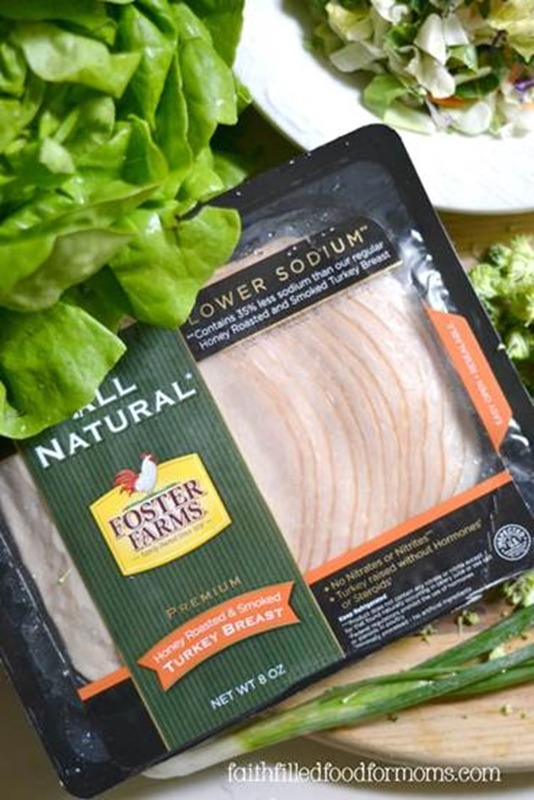 If you would like a coupon to try Foster Farms Natural Sliced Turkey, you can hop on over and grab this coupon to save $1.